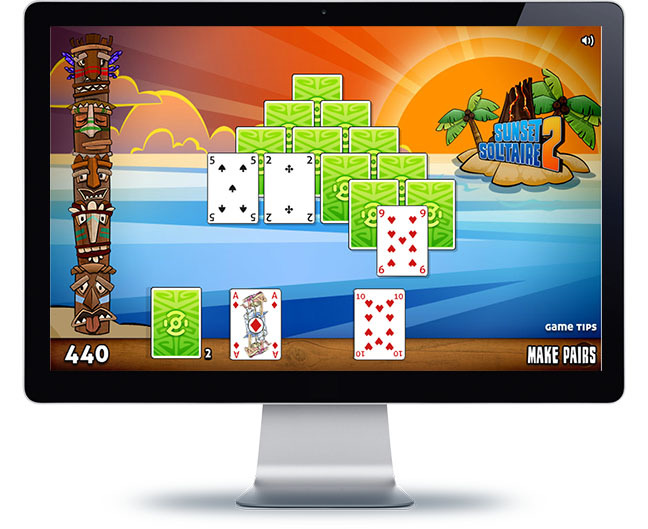 Sunset Solitaire 2 is one of our most famous games, and for good reason! Everybody loves to have fun while enjoying the beach view, the palm trees, and the sand in this summer themed card game. As a version of solitaire, you simply need to combine two cards of the same value to be able to clean the card field! Join us in this classic game in our never ending summer! made with the cards in the stack, in the field, or in both of them. You will receive more points once you make more combinations in a row. It is possible to shuffle the stack three times when you can’t make any other combination. Don’t forget about the jokers, they can be useful since you can combine them with every card in the game!